"The media and political establishments are diddling while the planet burns. Are we really supposed to take their games seriously as humanity veers ever more dangerously off the environmental cliff? If the global warming cataclysm - already significantly underway in vast swaths of the planet - isn't averted and soon, then nothing else we care about is going to matter all that much. We'll soon be arguing about how fairly to slice up a badly overheated pie - how to turn an overcooked world upside down (or right-side up) and how to properly manage a living Hell. Climate catastrophe? It's not a big seller..."
A surge in U.S. and Canadian oil production over the last decade has added the equivalent of “one Russia or one Saudi Arabia” to the markets — pushing the planet farther away from ever getting a grip on the pollution that is driving climate change. "...The British-based group Extinction Rebellion has called for non-violent acts of civil disobedience on April 15 in capitals around the world to reverse our 'one-way track to extinction.' Joining Chris Hedges in a two-part discussion from London is Roger Hallam, the co-founder of Extinction Rebellion." I think the Denial part revolves around the false premise that committing economic suicide for 'climate change' is beneficial to the planet. Efforts are better spent actually doing something other than protesting. Plant a tree, clean up shoreline, fix a ditch, park n walk - anything other than mindless moaning. Actually, the consequences for continuing on the same old fossil fuel-based economic path is what will lead to economic suicide as the 2018 report from the Global Commission on the Economy and Climate outlines. 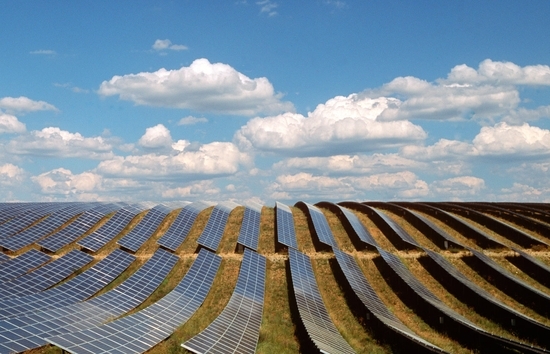 This report describes the economic opportunities associated with shifting quickly to a green energy economy, as well as the risks associated with attempting to maintain a fossil fuel based economy. The Commission was established in 2013 by the governments of Colombia, Ethiopia, Indonesia, Norway, South Korea, Sweden, and the United Kingdom and already has released reports in 2014, 2015, and 2016. It consists of 28 former heads of government and finance ministers, as well as leaders in the fields of economics, business and finance. It operates as an independent body and, while benefiting from the support of the partner governments, has been given full freedom to reach its own conclusions. The next 2—3 years are a critical window when many of the policy and investment decisions that shape the next 10—15 years will be taken. Furthermore, David Wallace-Wells article on climate change vividly describes what continuing with a fossil fuel based economic system means for our planet in terms of its catastrophic consequences. The scientists know that to even meet the Paris goals, by 2050, carbon emissions from energy and industry, which are still rising, will have to fall by half each decade; emissions from land use (deforestation, cow farts, etc.) will have to zero out; and we will need to have invented technologies to extract, annually, twice as much carbon from the atmosphere as the entire planet’s plants now do. If you are not worried about the catastrophic impacts of climate change across the rest of the world, here is what we can expect in Canada. Fed up with the lack of action by adults on climate change, students in 1301 protests in 99 countries around the world are planning to protest on March 15th and May 3rd to protest the failure of previous generations including those currently in power to deal with the global existential problem of the 21st century, one that will have a greater impact on youth than any previous generation. The protests are open to people of all ages. It all started with a 15 year old girl with autism, Greta Thunberg, protesting alone outside the Swedish parliament last August and has avalanched into a worldwide movement that has already staged several protests. Here's a list of March 15th Fridays For Future climate change protests in 99 countries around the world. 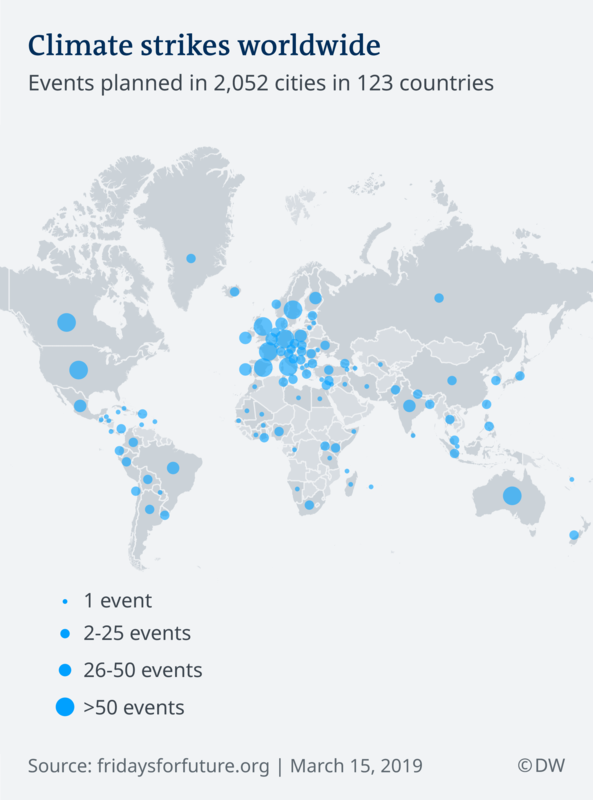 By clicking on the circles on the global map of the url below, you can find a March 15th Fridays For Future climate change protest near you, including 42 in Canada. Here's a description of the single autistic girl who started a gigantic student-led global warming movement. She was never quite like the other kids. ... Four years ago, she was diagnosed with Asperger’s. Here is Greta Thunberg's TED talk. While Trudeau continues to proclaim himself the climate change warrior, the IEA says American and Canadian oil production are pushing climate change goals out of reach, while the developing world is now using more renewables than the developed world, thereby giving lie to another of the climate change deniers, who say we cannot possibly compete if don't continue using fossil fuels in a major way. A surge in US and Canadian oil production over the last decade has added the equivalent of “one Russia or one Saudi Arabia” to the markets—pushing the planet farther away from ever getting a grip on the pollution that is driving climate change. Fatih Birol, the executive director of the International Energy Agency, revealed this fact Feb. 26 while discussing what he saw as a “growing disconnect” between the countless scientific studies calling for a decline in heat-trapping greenhouse gas emissions—each more urgent than the last—and the fact that pollution continues to rise, hitting a record high last year. In order to avoid the extreme flooding, drought, heat waves, rainfall, disease outbreaks and other dangers to human health that climate change will provoke, nations must stop burning fossil fuels in sufficient amounts to limit the rise in average surface temperature to below two degrees Celsius over pre-industrial levels. The problem, said Birol, is that there is already no more room to increase the amount of pollution that humans add each year to the atmosphere. All of the cars, trucks, power plants, factories and other facilities that have already been built around the world, he said, will eat up the rest of the planet’s so-called “carbon budget”—an expression used to describe the maximum amount of pollution that could be generated if the planet wants to limit the rise of average global temperatures—by 2045. But the government also spent billions of dollars to buy the Trans Mountain oil pipeline and expansion project, and Natural Resources Minister Amarjeet Sohi recently announced $1.6 billion in support for the oil and gas sector to expand into new markets. Even Ottawa’s electric-car charging fund is also supporting natural gas refueling stations. The Liberal government does not see a contradiction in all its efforts. It says decarbonization won’t happen overnight, and needs to be encouraged over several years, with the energy sector continuing to receive support in the interim. It sees lower-carbon shifts, such as from diesel to natural gas, as better than doing nothing. Birol laid out a stark assessment of the planet’s energy picture, and the uphill battle facing nations in cutting their carbon emissions. In January, National Observer reported that 45 per cent of the funding in a program that had been described as a boon for electric vehicles, was actually going towards natural gas refueling stations. Electric vehicle advocates said at the time that they felt slighted that the program wasn’t advancing the cause of electrification as much as it could. Under the program, the electric vehicle charging stations have cost about $50,000 to install, making them much cheaper than natural gas stations which cost around $1 million each. 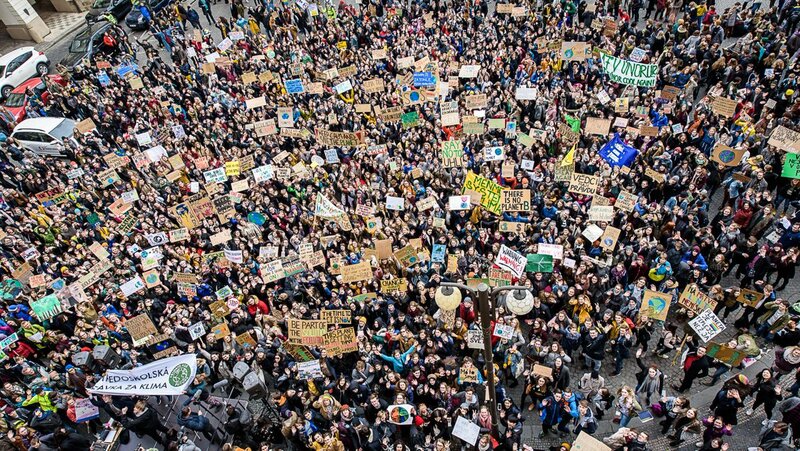 Today there were 2,052 events in 123 countries as part of the student led and Greta Thunberg inspired Fridays for Future school strikes to protest the lack of action on climate change. 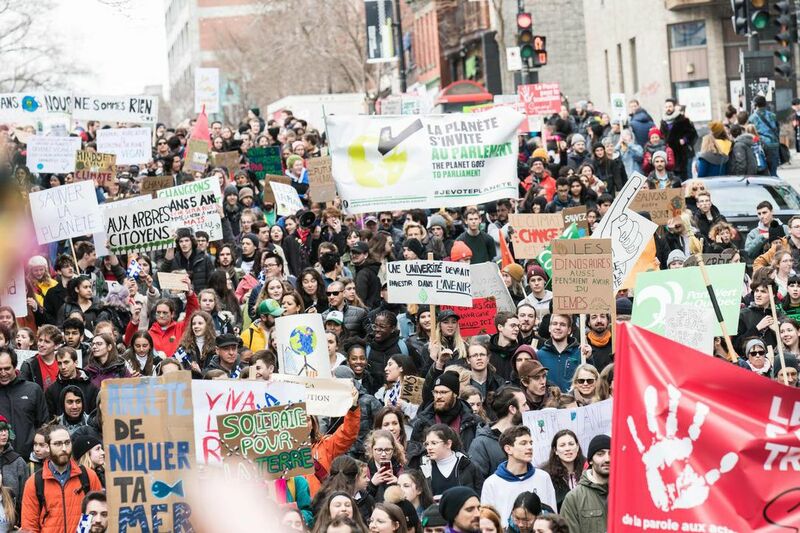 In Canada, Montreal had the largest crowd, an estimated 150,000, attending the Fridays for Future protest of adult inaction on climate change. Thousands of students marched in downtown Vancouver Friday, calling for action on climate change. The School Strike for Climate, or #climatestrike, is part of an international movement to have young people’s voices heard about climate change. Today’s protest garnered impressive numbers as herds of college and university students joined in as well. The group marched downtown chanting “For our future, for our life,” and “Hey Hey Ho Ho, climate change has got to go,” before converging at the north side of the Vancouver Art Gallery. An estimated 1.4 million students took part in Fridays for Future protests worldwide. There were 2052 student-led protests in 123 countries, including 55 in Canadian cities and towns, despite students facing threats of punishment for missing school in many cases. 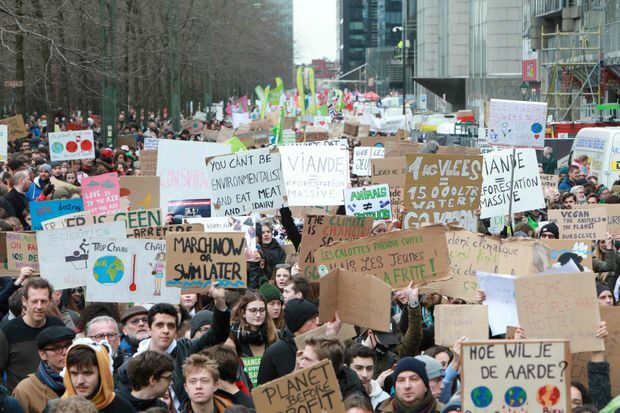 People take part in a demonstration against climate change organised by 'Youth For Climate' on March 15, 2019, in Brussels. Unfortunately, the world got another warning yesterday from the United Nations on how fast global warming is changing our environment and lives: the Arctic is facing unavoidable catastrophic impacts from climate change even if the world reaches its Paris Agreement targets that we are currently well on the way to surpassing. These changes will have global impacts beyond the Arctic. Winter temperatures in the Arctic are set to rise by 3 to 5 C by 2050 even if the world succeeds in cutting emissions in line with the Paris Agreement, according to a new report by the United Nations. These temperatures are set rise even higher – up to 9 C – by 2080, bringing devastating changes to the region and triggering sea level rises worldwide, the report by UN Environment finds. Further warming may also surpass tipping points for the stability of the Greenland ice sheet, as well as the rapidly melting permafrost, which could release large amounts of carbon into the atmosphere and derail efforts to meet global greenhouse gas emission goals. 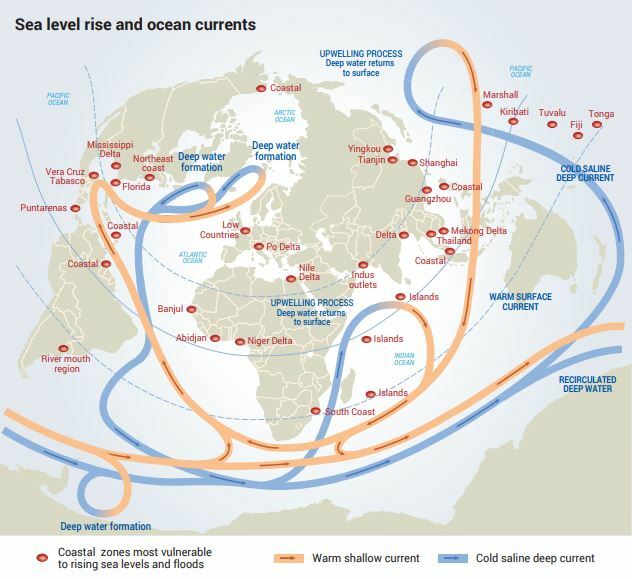 Other possible tipping points are related to increased fresh water input or ocean acidification, with direct impacts on ocean circulation and ecosystems, warns the report titled Global Linkages – A graphic look at the changing Arctic. The Arctic region has a significant impact on the global climate and there are strong feedback mechanisms between the Arctic and the rest of the world, the study says. From 1979 to the present, Arctic sea ice is estimated to have declined by 40 per cent. Climate models predict that, at the current rate of carbon dioxide emissions, Arctic summers will be ice-free by the 2030s, according to the report. “Global emissions drive the melting of ice caps and glaciers, significantly contributing to rising sea levels, which will affect coastal and island communities throughout the world,” the report says. The melting of the Greenland ice cap and Arctic glaciers contribute to one third of sea level rise worldwide. The report also warns of other threats such as plastic pollution, invasive species and new diseases appearing in the region. Here's more on the devastation facing the Arctic and the globe from the UN report described in the last post. Of course, Canada being an Arctic nation means the impact will be even greater here. According to one study cited in the report, up to 70 per cent of Arctic infrastructure could be threatened because of thawing permafrost by 2050. The Arctic, according to the report, is to become a very different place. While a warming Arctic will bring with it some new economic opportunities, Arctic communities must prepare to adapt to the expected changes rather than hope Arctic warming will reverse itself. "It has to be a global action so that one-and-half degrees Celsius that is in the Paris Agreement needs to be fulfilled as quickly as possible. Even that will mean a big change in the Arctic climate." We as a society have not done a good job of dealing with the rapidly increasing financial costs of climate change, including in where and how we build homes. Builders now face another challenge: adding resiliency to homes so that they withstand severe weather. In many cases, we know what needs to be done to make homes more resilient, but face objections from some groups who need to be onside to make this happen. The challenge is amplified by homeowners and voters who don’t seem aware of riskand who are not giving clear direction on climate change to politicians and builders. One of the problems is that a large number of units are rental units and landlords have few incentives to improve them when the tenants pay the utilities. Grants that cover part of the money are not attractive enough where the owner will never pay utilities. The Rental housing legislation in Canada does not have minimum efficiency standards for energy use. For the most part they simply are required to make it possible to heat to a certain temperature regardless of cost. The cheapest install for heating remains inefficient baseboard electric, something no person paying the bill would ever consider. Hurricane Idai that hit Mozambique, Malawi and Zimbawe on the weekend will be quite possibly the worst cyclone to ever hit the southern hemisphere once all the damage is fully assessed. Interestingly, the Guardian was the only newspaper to lead with this story reflecting the similar low level of coverage generally given climate change, which was also the case with the global student strikes for action on climate change of 1.4 million students in 123 countries last week and many other global warming events. It also raises the question of when governments around the world, including Canada, are going to start effectively tackle this problem with action, not just words. A general view shows destruction after Cyclone Idai in Beira. Something can be done to make disasters of this scale less likely. The question is: will political leaders do it? ..the collusion between government and corporations is astounding. ..hemp is the better way to go. Not unless they figure out that "adults" are not the problem. 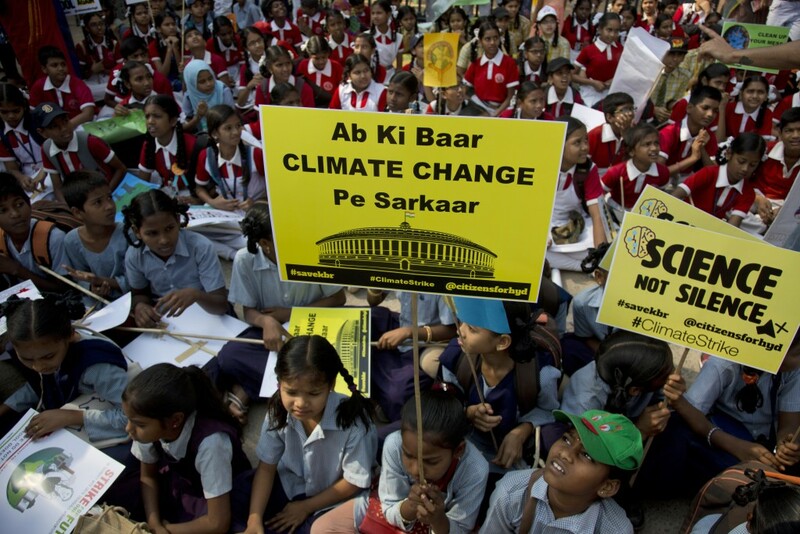 Neoliberalism and corporate power stand in the way of climate change action. Of course. But adults are not totally off the hook. The failure of so many of them to protest or place the environment at the top of their priorities helps the corporations and neoliberals to continue as usual. If you say adults have no power to change anything on global warming, then you are arguing the world is doomed. We are in deep trouble but I do not think we are doomed yet. InfluenceMap has produced a report on the hundreds of millions spent by the fossil fuel companies on lobbying to block legislation policies, influence publich opinion including on social media and misleadingly brand themselves as supporting action on climate change. Not a surprise but concrete evidence of what many suspected. The article includes charts of spending to block action on global warming by each of the five major fossil fuel firms. The following article discusses how global warming is already having a major impact on Tuktoyaktuk in the Northwest Territories. The article also discusses the impact of global warming in cottage country and coastal Nova Scotia. Across the Arctic, powerful storms and thawing permafrost are causing the coastline to erode at speed, overrunning uninhabited islands and prompting people in seaside Alaskan villages to vote to relocate their entire community to safer ground inland: Newtok in 2003, Shishmaref more recently in 2016. Tuktoyaktuk isn’t the only Canadian community where encroaching seas are swamping buildings and forcing people to consider moving, Whalen said: it’s commonplace in cottage country and problematic in parts of Nova Scotia, where he works for most of the year. But he can attest firsthand to the accelerating rate at which storms are targeting Tuk — and to the damage those storms are causing, epitomized by a blustery few days he spent hunkered inside a rented house a couple of hundred metres from the shore last August. Another place already major impacts from global warming is the Lennox Island Reserve in Prince Edward Island. The following study, CLIMATE MIGRATION IN CANADA: A CASE STUDY OF LENNOX ISLAND, PEI, discusses how sea level rise has already permanently flooded large parts of Lennox Island and will lead to lead to the community having to move. It also looks at what previous climate change migrations occurred and what can be learned from them. The movement of the First Nations community will be far from the last community in Canada to have to move due to global warming. The community of Lennox Island, Canada will require relocation due to climate change-induced erosion and sea-level rise. The Canadian government is not yet prepared for climate migration events. There are varying social and economic challenges to community relocations. For this reason, it can be useful to learn from past forced relocation events within Canada and climate migrations abroad. This study uses the precedent of Newtok, Alaska’s climate migration to determine measures that should be used during Lennox Island’s climate migration. A 1-metre sea-level rise (Hedley, 2014), or a major storm surge (CBC, 2015) is capable of breaking down the islands’ multi-million-dollar sewage lagoon (INAC, 2011). This breakdown would result in the contamination of the Malpeque Bay and the groundwater of Lennox Island. This degree of sea-level and storm intensity could render the causeway unusable due to flooding or infrastructural damages. This provides a safety concern for the residents. The community has emergency plans in place in the event the causeway is damaged. However, the last time the causeway was damaged, it took nearly six months to repair (CBC, 2015). With the combination of sea-level rise and soil erosion anticipated to continue (Majeed, 2015), the emergency plans to protect the causeway and sewage lagoon, are only temporary. The island is already pursuing development on reserve land, on the mainland of P.E.I, in nearby East Bideford (Fraser, 2016). Residents themselves are increasingly acknowledging relocation as the only long term solution. With these gradual environmental threats, Lennox Island is anticipated to be one of the first Canadian communities requiring relocation due to climate change (Beaumont, 2016; Fraser, 2016). ETA: However, the Lennox Island Reserve in PEI is not the only Prince Edward Island community under threat from global warming says Lab director Adam Fenech of the UPEI Climate Research Lab. He says sea level rise around the world is occurring three times faster than previously thought making the need for at risk communities to adapt much faster. Some global warming problems that weren't expected until the next century are happening now. Mr Fenech said new reports are indicating that sea-level rise is going to increase three times as much than originally thought by scientists, adding oceans are getting warmer and are expanding while ice around the world continues to disappear faster than scientists anticipated, rising sea levels. As a First Nations member, Natalie Knockwood said she feels it’s her responsibility to care for the whole of PEI, not just Lennox Island and asked why Island reserves were being treated as separate entities. Mr Jardine explained the climate lab does conduct studies for the rest of PEI as well, but admitted there isn’t a whole lot of funding available for since research. The Mi’kmaq Confederacy applied for the funding for these projects through INAC, which provides funding specifically for Canadian reserves. “This work that we are describing is not being done for all of PEI, it’s just being done for the reserves. You’re getting special treatment in a sense because you’re getting special focus on your territories,” said Mr Fenech’s colleague Don Jardine. [Lennox Island First Nations residents Natalie] Knockwood agreed with Mr Labobe then that politicians need to be attending these meetings. Question: Why don't we have a movement seeking constitutional protection for the environment in the Charter. This would be truly groundbreaking and if it is possible to get this amendment, new governments would find it near impossible to undo. A federal party could run on the idea that it would seek out this protection. Current governments would have to admit if they are not in favour and might be shamed into it. Once the level of support has been reached based on the amending formula, it is unlikely that any provincial or federal government if anti-environment woudl be able to undo it and they would have to abide by this law. This would be new law to see Charter protection against the further destruction of the environment but it is a legitimate protection. For either the NDP or Greens to present this, I think they would draw out a difference between themselves and the parties of nice words and no substance on the environment. Well it is very difficult to amend the Charter of Rights (and anything else useful in the Constitution). Even if you successfully did so, relying on the courts to protect the enivronment is a very slow process. If Jagmeet Singh (or Elizabeth May) want to fight the climate crisis they need to campaign on some form of Green New Deal and they should pledge to declare a Climate Emergency the first day they form government. On the first point, I think that this is a worthy effort and would draw attention politically to any breeches. There are often times when the provinces and the Federal government could be aligned to do this succeed once and it could not be undone as we never get a solid enough alignment to remove it. As for the courts a consitutional right to protect the environment woudl definitely speed things along and make illegal regressive policies in one jurisdiction that woudl affect others. I agree entirely with your second paragraph. Considering the history of Meech Lake and the Charlottetown Accord, as much as I would like to see a envirnomental constitutional right, I just don't see any government going down this route in the near or even middle future. Getting all or even most of the provinces onside at the same time is highly unlikely and by the time the vast majority of the population is demanding it because of environmental extreme devastation is hitting them personally in the face, it will be too late for the planet. 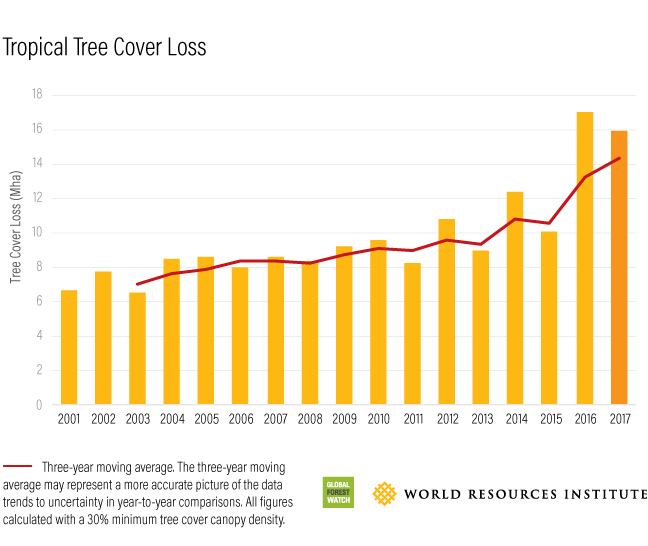 The loss of forests is not just a problem for biodiversity, it increases carbon dioxide emissions as trees store a large amount of the gas. In Canada our boreal forest is under threat from the forest industry and increasingly from wildfires as we have seen in 2016 with the wildfires that destroyed much of Fort McMurray and the 2017 and 2018 record-setting forest fire seasons in BC as temperatures rise due to global warming. The tropical forests are also disappearing at an alarming rate further intensifying the resulting release of carbon dioxide as the following article illustrates. 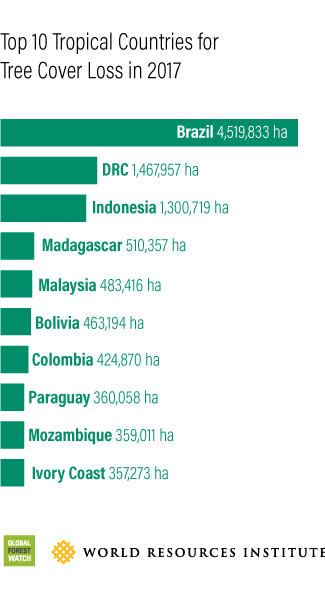 For the tropical forests, Brazil by far has led the way as the 2017 data in the following article shows. Keep in mind this was before Bolsonaro took power promising to greatly increase the rate at which Brazil's tropical forests are cut. A string of legal challenges now face Exxon over its climate change denials. "The industry has profited from the manufacture of fossil fuels but has not had to absorb the economic costs of the consequences," Koh said. "The industry had the science 30 years ago and knew what was going to happen but made no warning so that preemptive steps could have been taken. "The taxpayers have been bearing the cost for what they should have been warned of 30 years ago," Koh added. "The companies are now being called to account for their conduct and the damages from that conduct." The European Union has started hearings to ban Exxon from lobbying European lawmakers because of previous attempts to mislead them by Exxon through climate change denial. Too bad Canadian governments haven't started doing this. The report’s researchers found Exxon spent more than 3.5 million Euro on lobbying in 2018 and has utilized a web of lobbyists, trade associations and think tanks in efforts to delay and weaken EU climate policy. “The sheer scale of access that Exxon enjoys via its vast network of lobby group, it’s like a Hydra, you cut off one head and five more appear,” said Pascoe Sabido, a Corporate Europe Observatory researcher and campaigner. The report found Exxon’s lobbying is slowing the EU’s fight against climate change and is not compatible with the EU’s commitments under the Paris Agreement. Six of Exxon’s 12 lobbyists have badges allowing them direct access to the European Parliament. A jobs report released this month in the United States puts the lie to the argument that a green energy strategy means economic hardship for workers. Renewable energy jobs now outnumber fossil fuel energy ones by a 3:1 ratio and are growing in number quickly. But even with Trump's pro fossil fuel policies renewables are forming a major part of the American economy. The future is now when it comes to global warming. An estimated 128,000 survivors have made their way to temporary camps near Beira, with an escalating risk of cholera and other waterborne diseases. The Red Cross announced plans to provide humanitarian support to 200,000 people for up to two years. “The scale and scope of suffering and damage is breathtaking,” saidRed Cross secretary general, Elhadj As Sy, after touring the region around Beira. The Ontario environmental commissioner calls the Ford government's climate policies "frightening". Ontario’s environmental commissioner issued dire warnings Wednesday about the “frightening” state of climate policy in the province as she delivered her office’s last report. The Progressive Conservative government announced last fall that it was eliminating the office of the environmental commissioner and merging its functions with the auditor general. In delivering a report on energy conservation, Dianne Saxe said Ontario is heading in the wrong direction on the environment. "Through our commitment to making a positive impact on people's lives, the communities where we operate and the environment, we are once again pushing the boundaries of aviation by becoming the first aircraft to be powered by electric propulsion," he said in the statement. "In 2018, 75 per cent of worldwide airline flights were 1,000 miles or less in range," Roei Ganzarski, CEO of MagniX, said in the statement. "With MagniX's new propulsion systems coupled with emerging battery capabilities, we see tremendous potential for electric aviation to transform this heavily trafficked 'middle mile' range." We need more politicians like Alexandria Octavio Cortez in Canada. She defended her Green New Deal while linking the harmful effects of climate change to those who suffer the most from it, the poor, after a Republican criticized it as an elitist plan of California and New York "rich liberals". The url below includes a video of her fiery full response. Russell Myers Ross is chief of Yuneŝit'in (known in English as 'Stone' or 'Stoney') and Michelle Myers is from Xeni Gwet'in (known as Nemiah Valley), two communities in the Tŝilhqot'in Nation, located in the interior of B.C. (about a six hour drive northeast of Vancouver). Both Ross and Myers are working hard to develop their local economy and manage its resources in a way that aligns with their values, culture and laws as Tŝilhqot'in people. Ross, who has been chief of his community for the past six years, sees the Dasiqox Tribal Park as a way for his people to actively exercise their rights and title rather than waiting to see whether the government will meet or fail in its duties to consult and accommodate. For Michelle Myers, clean energy sources such as solar, wind, geothermal, and run-of-river hydro are the types of projects her community can stand behind, different from Canada's historical extractive industrial practices, which have either devastated or damaged some lands, waters and Indigenous ways of life. Those extractive industries are represented locally by Taseko Mines Ltd, which first proposed to mine the mineral wealth under Tŝilhqot'in territory in 2008 and was last seen earlier this month in a Vancouver court pushing for an expansive “exploratory drilling” plan to go ahead. The legal battle continues. The Prince Edward Island Aquaculture Alliance has picked climate change's impact on this industry as one of the key themes of its annual conference. It's just another of the industries suffering major challenges as global warming hits home. "They all see the impacts of climate change, they all want to take action because it's having impacts on their businesses," said McGee, who's also with The Nature Conservancy, U.S., which is helping with the project. To promote the message that impacts of climate change are real, do something about it, to policy makers." The coalition has created a series of videos of members talking about the impact of climate change on their businesses. "Their stories told from their own perspectives are what makes the coalition as powerful as it is," McGee said. "A lot of law makers don't hear about climate change at all so when they do hear from these businesses that play an important role in local economies, then they start paying attention." McGee says the members of the coalition are being impacted by ocean acidification, sea level rise, increased frequency and intensity of storms and rising water temperatures. The coalition is calling on legislators to move forward on a carbon tax, to reduce greenhouse gas emissions. "The primary thing is to limit carbon emissions," McGee said. "Part of the agreement is for members to take personal action as well. They're all committed to doing things to lower their own carbon footprint." She says summertime temperatures are already a concern for mussel farmers on P.E.I. "Especially sometimes with increased water temperatures you see decreased oxygen in the water which those mussels need to breathe," Steeves said. "You can already sometimes see decreased growth or even mortality happening."